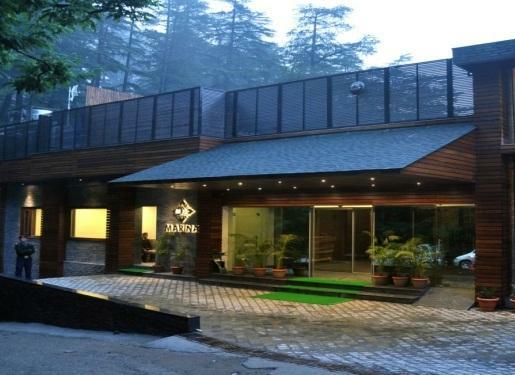 Hotel Marina Shimla is a luxury boutique hotel that is spread across 1 acre of land consisting of pine and deodar trees. 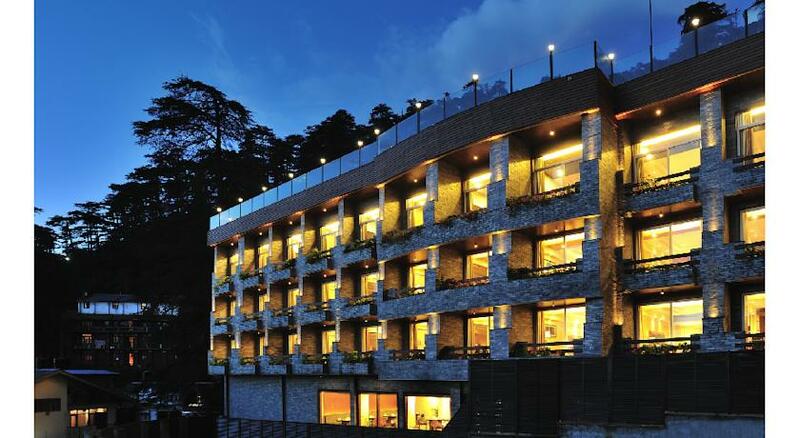 It is situated on the Mall Road and is the only hotel on Mall Road to have car parking facility up to 60 cars surrounded by pine and cedar trees. 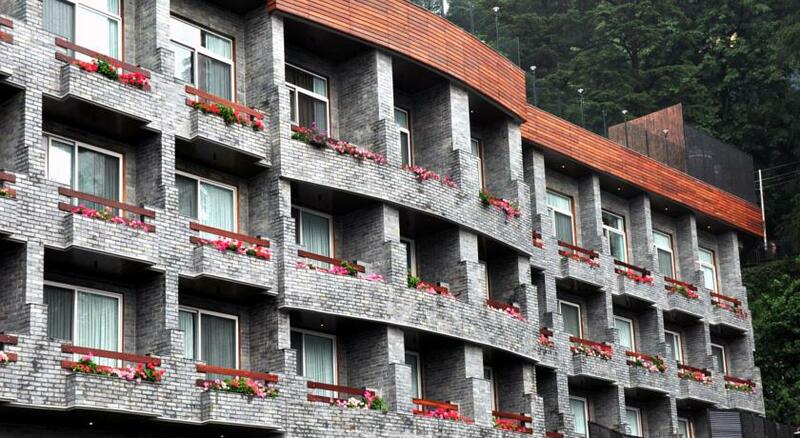 The hotel also offers picturesque view of the snow capped mountains. 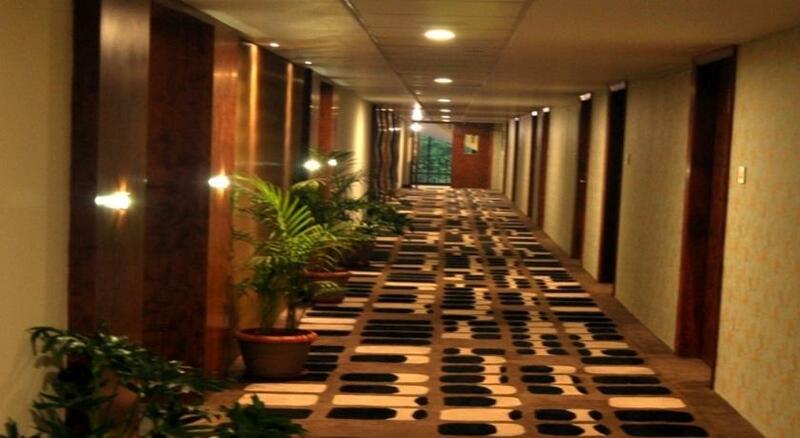 This hotel was bought in the year 1941 and underwent renovation in the year 2007. 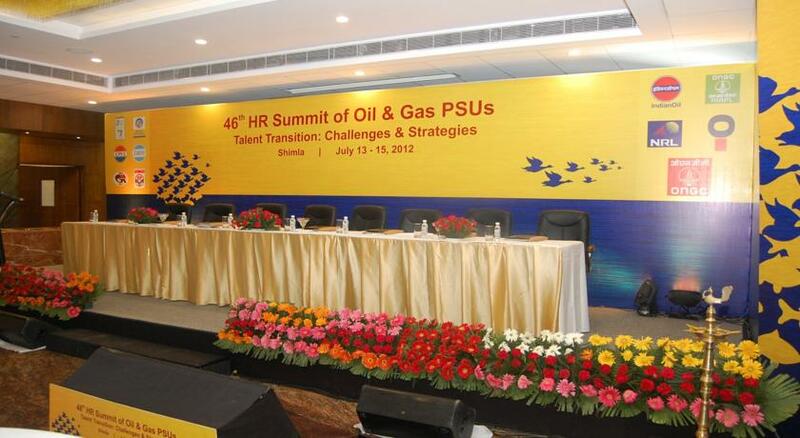 This hotel has hosted many politicians, Bollywood celebrities and celebrities from around the world. 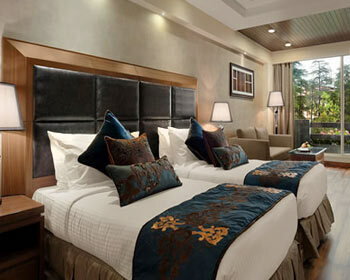 The hotel offers three kinds of accommodation namely Deluxe Rooms, Superior Rooms and Executive Rooms. The hotel has a multi-cuisine restaurant, an open terrace restaurant to cater to the culinary needs of its guests and has a lounge bar for the guests to relax. 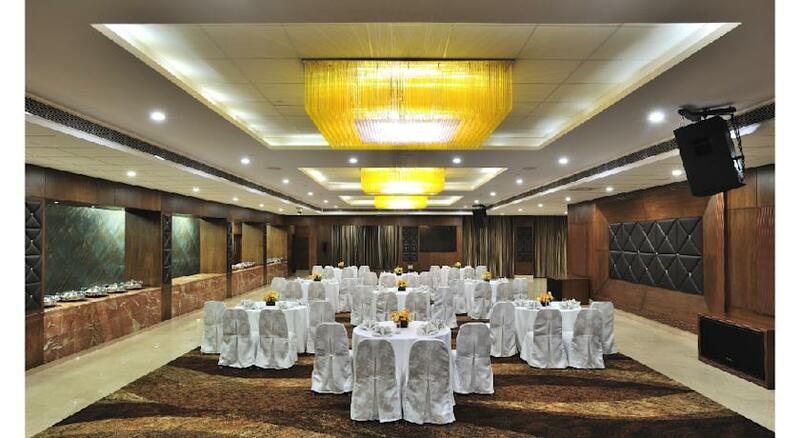 The hotel has a banquet hall which could be used for wedding, conferences, get togethers, etc. 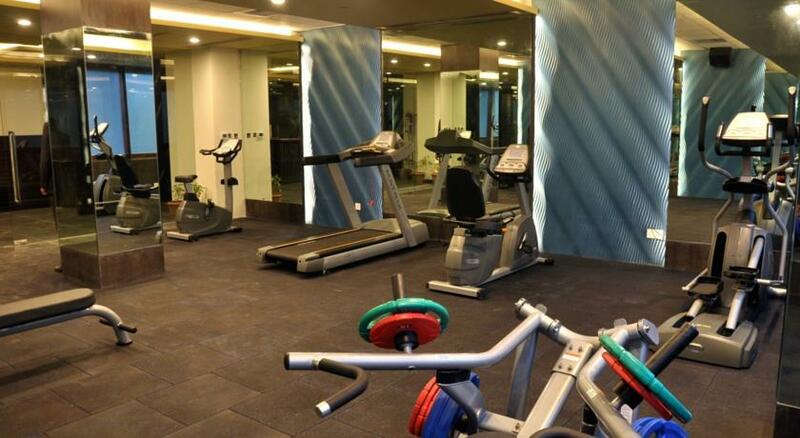 The hotel also has a fully equipped business centre, gymnasium, spa, pool table, video games, fitness centre, indoor games recreation centre, coffee shop and offers concierge service. 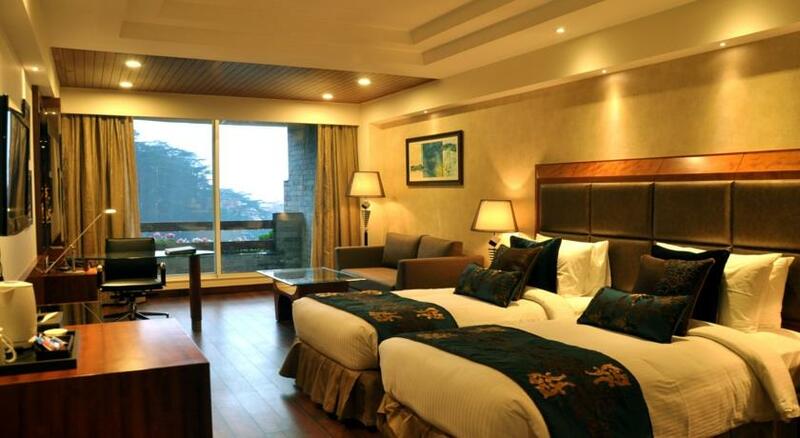 The hotel also arranges for sightseeing trips in and around Shimla. 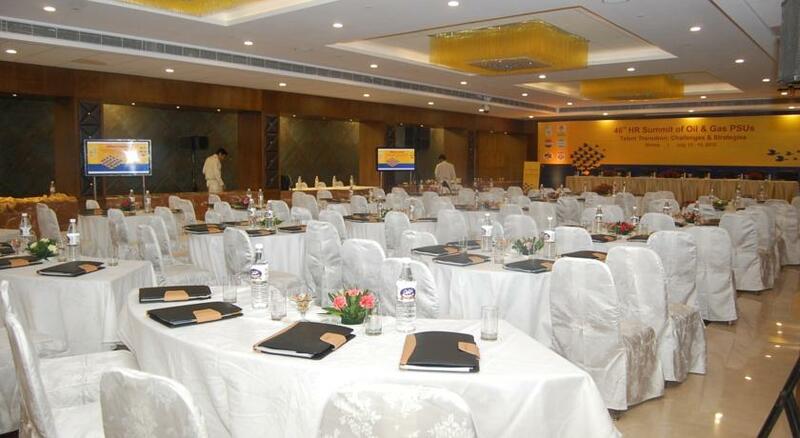 The hotel is a smart choice for both business and leisure travelers. 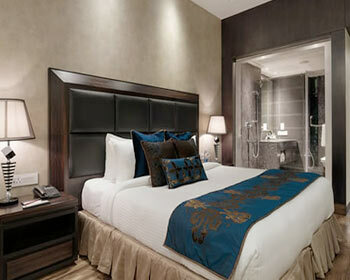 These are elegant, well adorned and well furnished rooms. 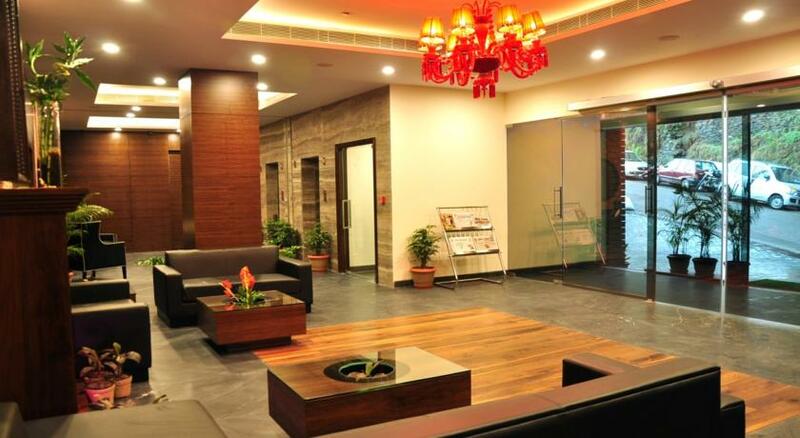 These are ideal for those who look for a beautiful accommodation in the heart of the city. These rooms come with amenities like attached bathroom with hot/cold water, shower cubicle/bathtubs, 24 hrs room service, tea/coffee maker, housekeeping, laundry/dry cleaning facilities, mini bar, LCD television with cable connection, WI Fi in the lobby and terrace, air conditioner, heater in winter, iron with ironing board, digital locker, hair dryer, telephone with direct dialing, facilities for disabled guests, doctor on call, parking, etc. The rooms are designed in such a way to provide good living space and provided with amenities that will make your stay comfortable. 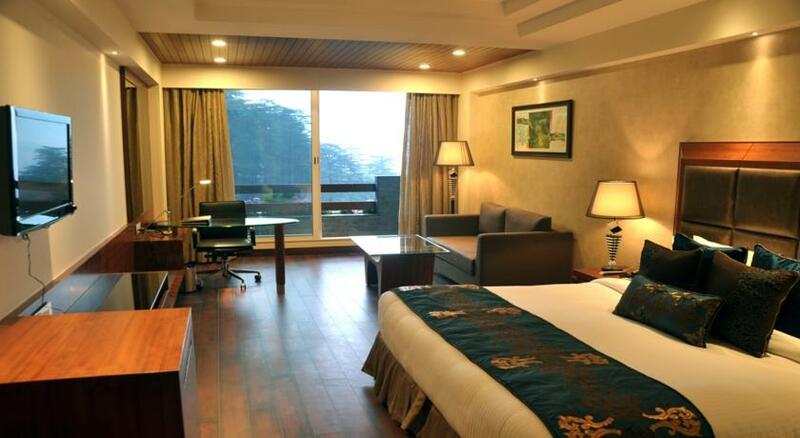 These are elegant, spacious, luxurious and well furnished rooms that come with all superior amenities as the name suggests. 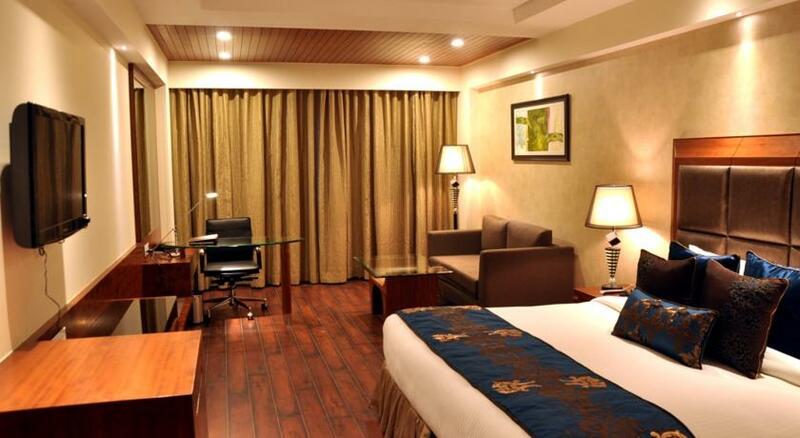 These rooms are ideal to stay with your family or friends and it provides lavish accommodation. These rooms come with amenities such as shower cubicle/bathtubs, attached bathroom with hot/cold water, 24 hrs room service, housekeeping, tea/coffee maker, mini bar, laundry/dry cleaning facilities, WI Fi in the lobby and terrace, LCD television with cable connection, heater in winter, air conditioner, digital locker, iron with ironing board, hair dryer, facilities for disabled guests, telephone with direct dialing, parking, doctor on call, etc. 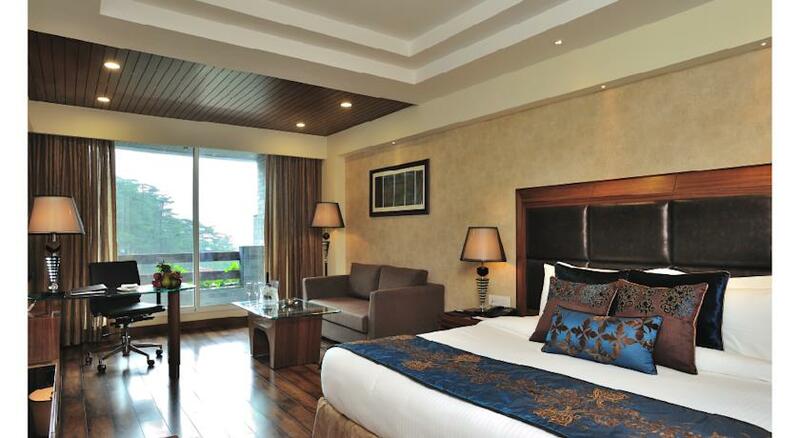 These rooms are designed to impress the guests and make their stay memorable. These are elegant, well adorned, spacious and luxurious rooms. 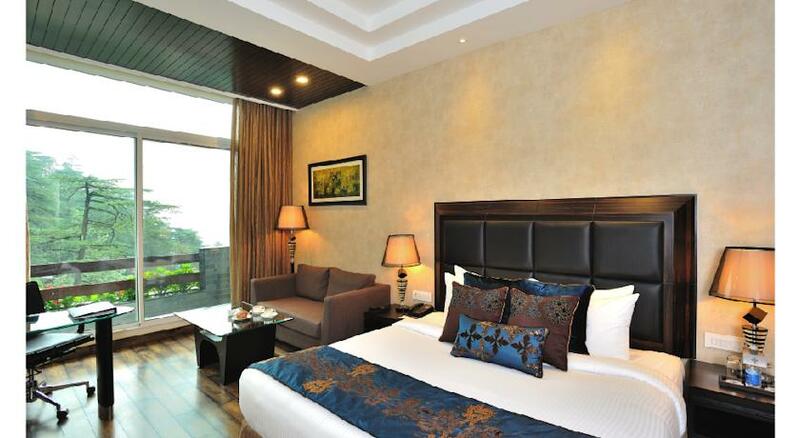 These rooms are also well furnished and designed to provide the guests with good living experience. These are ideal to stay with your family or friends. Further the rooms are provided with amenities like 24 hrs room service, shower cubicle/bathtubs, housekeeping, attached bathroom with hot/cold water, mini bar, WI Fi in the lobby and terrace, laundry/dry cleaning facilities, tea/coffee maker, heater in winter, LCD television with cable connection, digital locker, air conditioner, iron with ironing board, facilities for disabled guests, doctor on call, hair dryer, parking, telephone with direct dialing, etc. 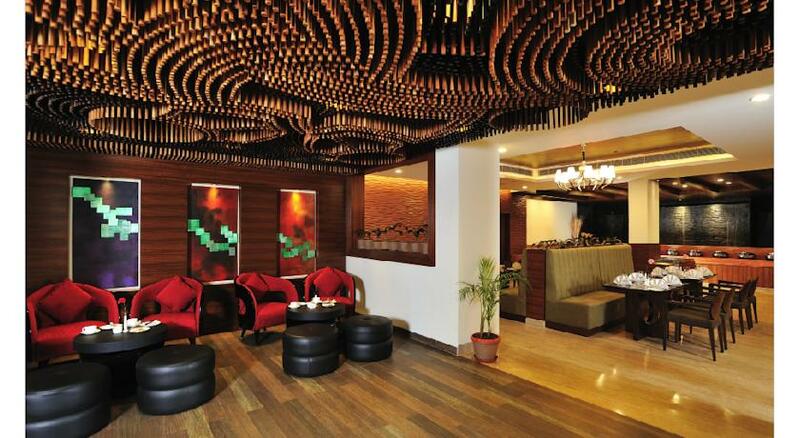 The 24 hrs delectable multi-cuisine restaurant serves Indian and International cuisines. 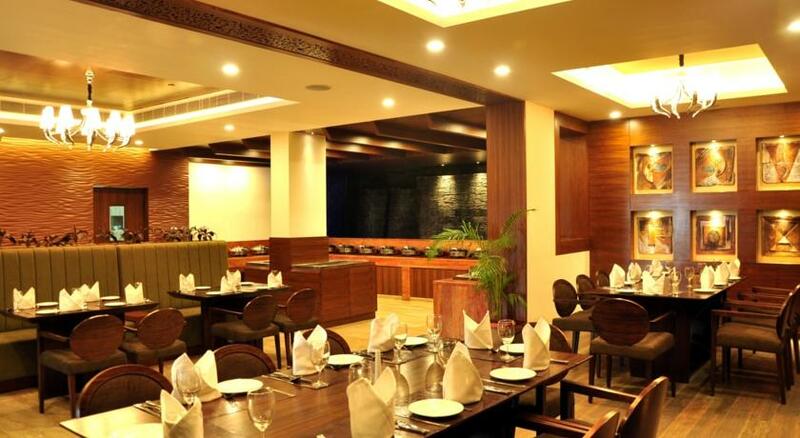 The restaurant comes with contemporary interiors and provides excellent service to the guests. The expert chef uses exotic spices along with fresh vegetables to make the mouth watering delicacies. All the food served is sumptuous and a feast to your palate. 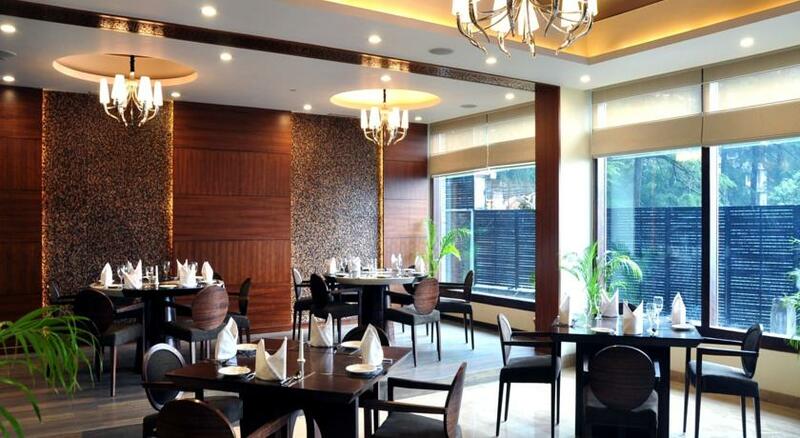 The restaurant also offers in room dining as well as dine in facilities. It also serves the outside guests. This open terrace restaurant provides breathtaking views of the hills and the valley. It is also a specialty restaurant where the guests are pampered with sumptuous multi-cuisine delicacies as well as with fine spirits. This restaurant serves food as well as wine and other spirits to the guests. This restaurant also serves barbeques. All the food served is scrumptious and will satiate your appetite. 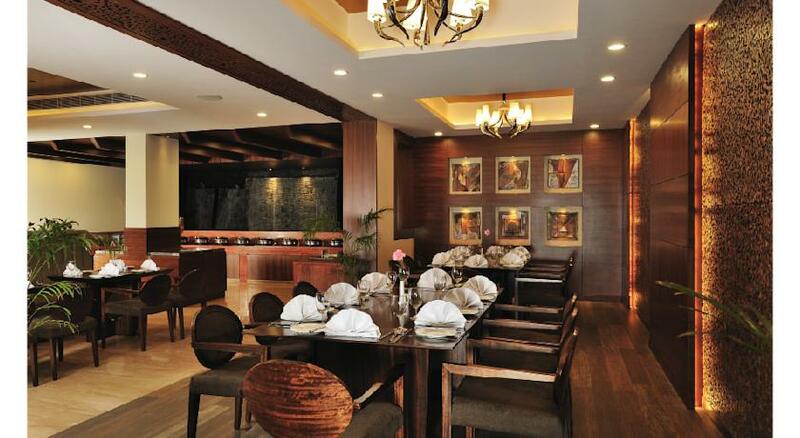 The restaurant also offers in room dining and is opened to outside guests as well. However, this restaurant highly depends on the weather conditions. This is a well stocked bar that contains exotic spirits and alcohols from domestic as well as international brands. Here, you can also enjoy non-alcoholic beverages also. This is a perfect place to unwind with your friends and colleagues. The plush interiors with silver moonlight provide the right mood and atmosphere for the guests. In case, the guests want to have private drinking then they can have it in their room as the room service is also available.